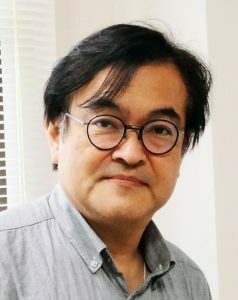 Division of Neurobiology and Physiology, Department of Neuroscience was initiated from October 2015, when the current professor, Tadashi Isa, moved from the National Institute for Physiological Sciences. The group aims at elucidating the neural circuit mechanisms for regulation of dexterous motor actions, learning, and the functional recovery after the brain and spinal cord injury. We are conducting the researches in various animal models for this goal, from mice, rats, marmosets, macaque monkeys, and humans, applying multidisciplinary methods, such as electrophysiology, psychophysics, neuroimaging, transgenic animals, viral vectors, and computational modeling. Dynamic properties of the large-scaled neural networks in the brain, which span multiple brain areas experience context-dependent transition in relation to the vigilance, attention or learning stage etc. One of the most typical situation in which such transition occurs is during the functional recovery from the brain and/or spinal cord injury. We have been studying the neuronal mechanism of the post-lesion functional recovery and how the recovery is regulated by cognitive functions such as motivation. We believe that with this knowledge, we can develop effective therapeutic strategies to cure the brain/spinal cord injury in future. 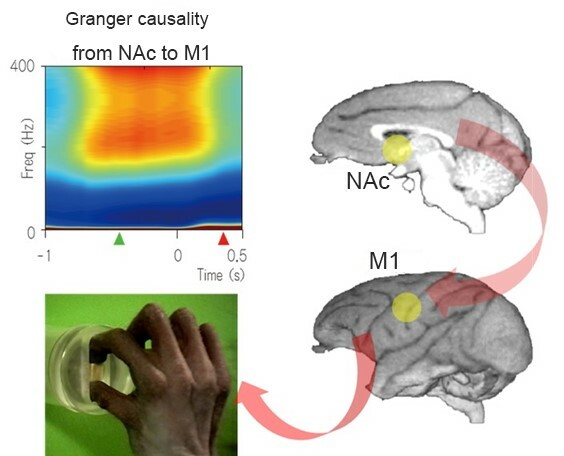 For this purpose, we combine multidisciplinary methods, such as electrophysiology, psychophysics, neuroimaging, transgenic animals, viral vectors, and computational modeling mainly in the macaque monkey model of functional recovery of dexterous finger movements after partial spinal cord injury. Macaque monkeys are suitable for the purpose of our study, because they have similar neural systems and .similar body plants to those of humans. A big progress in this field of research has recently been achieved by introduction of a new technique of pathway-selective and reversible manipulation technique using the combination of 2 viral vectors in monkeys, which was developed in our laboratory (Kinoshita et al. Nature 2012), by which we can pin-down the critical circuit(s) for recovery. During recovery from partial spinal cord injury, the nucleus accumbens (NAc) increases the activity which is sent to M1 and helps recovery. Pathway-selective and reversible blocking technique using double viral vector infection to examine the function(s) of propriospinal neurons. Kinoshita M, Matsui R, Kato S, Hasegawa T, Kasahara H, Isa K, Watakabe A, Yamamori T, Nishimura Y, Alstermark B., Watanabe D, Kobayashi K, Isa T (2012) Genetic dissection of the circuit for hand dexterity in primates. Nature, 487: 235-238. 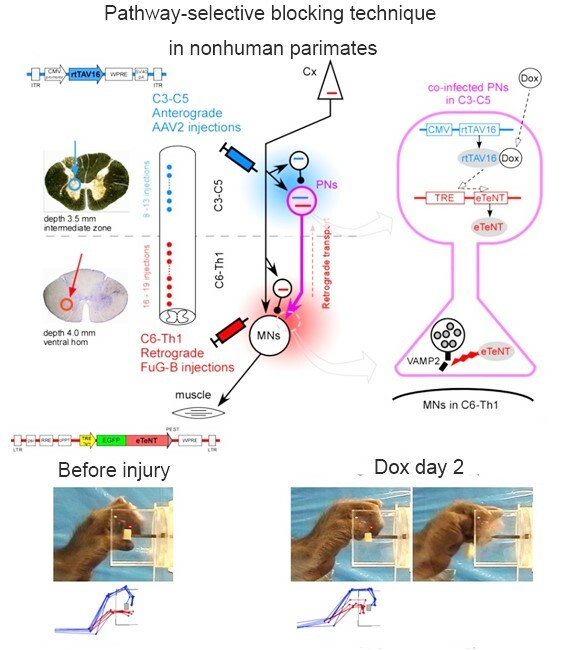 Tohyama T, Kinoshita M, Kobayashi K, Isa K, Watanabe D, Kobayashi K, Liu M, Isa T (2017) Contribution of propriospinal neurons to recovery of hand dexterity after corticospinal tract lesions in monkeys. Proceedings of National Academy of Science USA: 114:604-609. Nishimura Y, Onoe T, Morichika Y, Perfiliev S, Tsukada H, Isa T (2007) Time-dependent central compensatory mechanism of finger dexterity after spinal-cord injury. Science, 318: 1150-1155. Professor: Tadashi Isa, M.D. & Ph.D.
Project associate professor(Human Brain Research Center): Hirotaka Onoe, Ph.D.
Project associate professor(Hakubi Project): Takei Tomohiko, Ph.D. Lecturer (Medical Education center): Zenas Chao, Ph.D.
Assistant professor: Masatoshi Kasai, Ph.D.
Assistant professor: Ryo Sasaki, Ph.D.
Assistant professor(Medical Education center)： Richard Veale, Ph.D.
Project assistant professor: Reona Yamaguchi, Ph.D.
Project assistant professor: Takakuwa Norihiro, Ph.D.